Depending on your ultimate bathroom design, you may need a wall-mounted faucet to work with your free-standing basin or to make better use of space where you have limited vanity top or basin space in which to install your tapware. 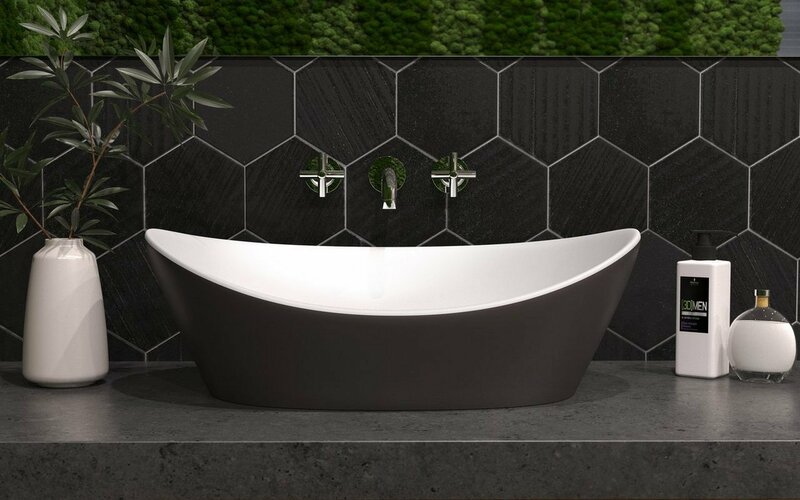 The solution is the smart, understated Celine wall-mounted sink filler which brings together all the stylish features of the Celine range in a three-piece set. This includes the sublime interpretation of the cross-handled tap in trademark Celine contemporary tubular chrome, with matching larger circumference solid chrome wall mounts, complemented by the streamlined simplicity of the horizontal 180mm wall-mounted spout with the curved end, also with matching mounting plate. The trio can be configured in several ways with centralized spout and adjacent taps, or mount the spout to the left or right of the taps – that’s up to you. 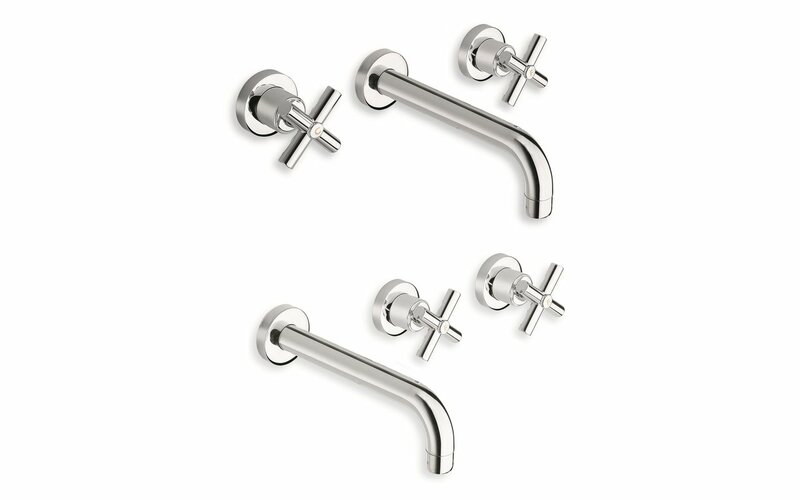 This set comes with a simple matching chrome 1 1/4”up-down waste. As with everything we do at Aquatica, we try to deliver flexible solutions to your every bathroom need, right down to the smallest details. Our faucet installation options are a perfect example. 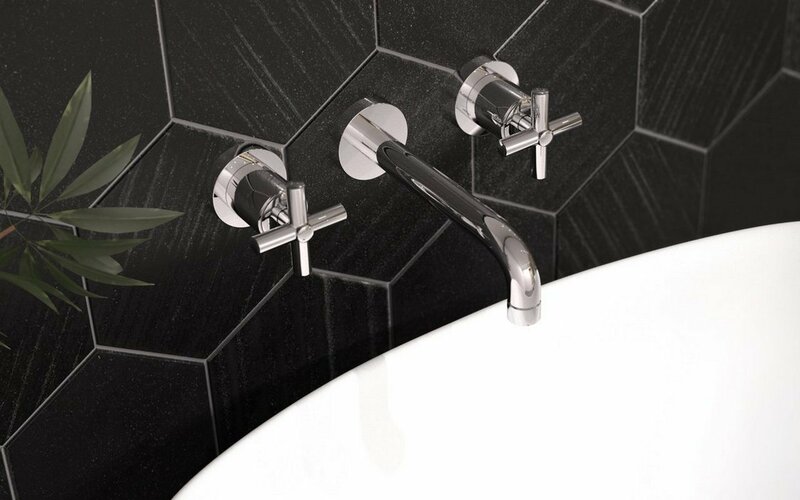 This three piece faucet set is designed to be configured in several ways with either a centralized spout and taps on each side, or you can mount the spout to the left or right of the taps as best fits your bathroom. The only governing details will be the total space required for the three elements. It’s a simple thing, but one that can make a big difference.